A 2017 American Psychological Association Dissertation Research Award has been awarded to Josie Ullsperger ’12 of Iowa City, Iowa, a Ripon College McNair Scholars alumna and a Ph.D. student in the Department of Psychological and Brain Sciences at the University of Iowa. The awards are made to help Ph.D. students fund their dissertation research. She also has received funding from the University of Iowa Graduate Student and Professional Government. “Prior research has indicated that the average age of puberty is declining for both adolescent males and females,” Ullsperger says. “Importantly, earlier pubertal timing is associated with a range of negative outcomes including increased risk for anxiety, depression, behavior problems, cancer and diabetes. Additionally, rates of mental illnesses increase dramatically during the adolescent period for both genders. 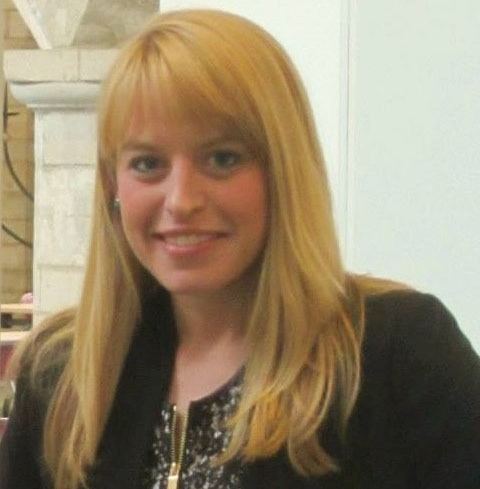 Ullsperger is a sixth-year clinical psychology Ph.D. student at the University of Iowa. At Ripon, she majored in psychology with a sociology minor. She credits the mentorship and support she received from Ripon psychology professors Kristine Kovack-Lesh, Tim Petersik and Joe Hatcher, as well as McNair Director Dan Krhin. As part of the clinical psychology Ph.D., Ullsperger is required to complete a year-long clinical psychology internship/residency, and she hopes to be matched at a children’s hospital with a heavy research focus. “My future goals include continuing to work in a career conducting research at the intersection of clinical psychology and development, working clinically with children and their families, and mentoring undergraduate students,” Ullsperger says. Posted January 15, 2018 in Alumni, McNair by Jaye Alderson.